All About Chili Peppers and How Hot is Hot? Hot peppers may have become commonplace, but there doesn't seem to be a consensus on how to spell chili pepper. Chili is the generally accepted form for chili con carne and Chile, with an "E", is the name of a country in South America, but you will find chili, chilli, and chile used interchangeably, to refer to hot peppers. One "L" or 2 seems to depend on your geographic region. For purposes of this article, I will stick with chili. Regardless of how you spell it, chili peppers are expected to be hot. However hot is a relative term and one person's scorcher is another person's tease. Thankfully there are dozens of varieties to choose from, which helps make chili peppers popular across the board. They all owe their heritage to a small wild pepper traced back to at least 7,000 BC, in Central and South America. Christopher Columbus is credited with giving them the name "pepper" because its zing reminded him of black pepper, an unrelated species (Piper nigrum). Someone on one of his ships brought the first chili peppers back to Spain and from there they were eventually dispersed throughout Europe, Southeast Asia, and the Middle East. Some cultures were quicker to incorporate them in their cooking than others. Although chili peppers were grown in colonial America, not all the colonies were enamored of them. George Washington and Thomas Jefferson both grew a cayenne variety, but their real popularity was in the Southwest and the area around New Orleans. You can't always tell a hot pepper by its name. All peppers are in the genus Capsicum. There are 5 species of Capsicum in cultivation. Most of the commonly grown vanities, like cayenne, jalapenos, and serranos, are Capsicum annuum. Many of the Asian hot peppers, as well as tabasco peppers, are C. Frutescens. Habaneros and Scotch Bonnet are C. chinense. The fiery 'Aji' peppers, like ' Aji Amarillo', 'Aji Colorado', 'Aji Cristal', belong to C. baccatum. And the wild peppers chiltepíns and chilipiquíns, from the regions around Mexico, are C. glabriusculum. However they are classified, there's a lot of variety. The sweet bell pepper came in at zero Scoville heat units (SHU) and set the starting bar. Jalapenos rated 2,500 SHU, which means 2,500 parts of sugar water to 1 part Jalapeno extract. For example, a jalapeno rated at 2,500 SHU would be 2,500 parts of sugar water to one part Jalapeno extract. The higher the SHU, the hotter the pepper. Habenero's scored 350,000 SHU. Today they use a chromatography machine, which is much more accurate. However, the same type of chili peppers grown under different conditions can vary widely in heat level. (More about that later.) Curious about what is the hottest pepper in the world? Why Would Anyone Eat Chili Peppers? While some chili peppers are merely hot, most also have distinct flavors, from fruity to smoky. In addition to their taste appeal, the heat - and resulting pain - is also thought to stimulate the production of endorphins, which produce a sense of well-being, once the pain wears off. It's a lot like the pleasure of scratching an itch or a runner's high. While your choice of variety will certainly play a big part in how hot the chili peppers that you grow ​turn out to be, there are a few growing conditions that will improve their heat. Don't be afraid to crowd your pepper plants. They will fight all the harder to set fruits. 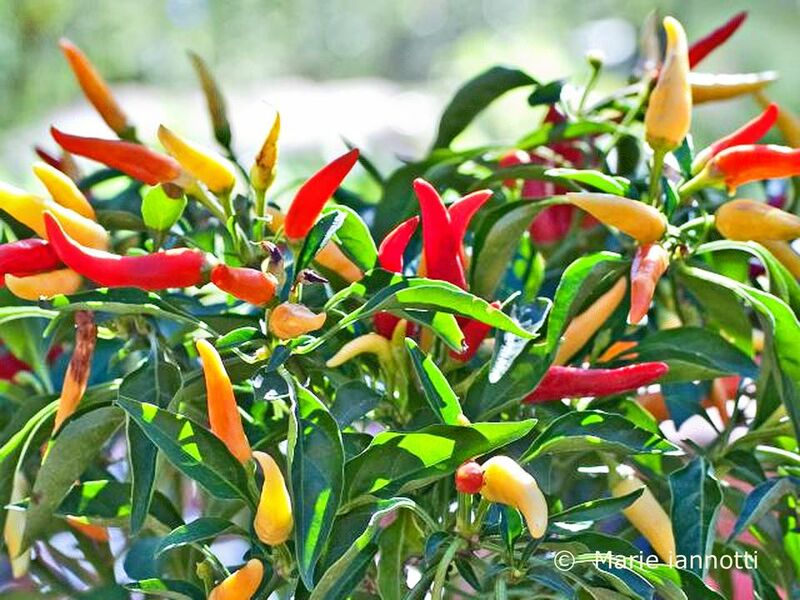 Here are the basics and a few more tips for growing hot peppers in your garden.